Everett Loyd Abbott, 98, of Katy passed away Wednesday, June 13, 2018. A graveside service will be held at 10:00am on Saturday, June 16, 2018 at Rest-Ever Memorial Park in Bryan. Everett Loyd Abbott was born on June 4, 1920 in Bradshaw, TX to Horace Oscar and Pearlie Mae (Moody) Abbott. 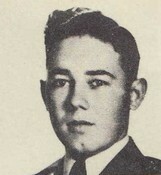 He graduated from Bradshaw High School as well as Sul Ross State College with a BS degree in 1950. Everett married Pansy Woods on May 28, 1943 and to this union came three children. He proudly served in the Amy and was a World War II veteran. Everett was a longtime member of the First United Methodist Church in Bryan. He retired from the Soil Conservation Service in 1979. Everett was much loved and will be greatly missed by his family and many friends. He is preceded in death by his parents Horace and Pearlie; wife Pansy Woods Abbott; and brother Merriel Abbott. Everett is survived by his daughter Donna Easterly and husband Gene of Katy; sons Bob Abbott and wife Kathy of Austin and Bill Abbott and wife Lynn of Irving; grandchildren Paul (Dallas) Easterly of Houston, Mark Easterly of Houston, Peter Easterly and wife Georgia of Katy, Chris Abbott and wife Allyson of Cedar Park, Jonathan Abbott and wife Nicole of Austin, Jennifer Stock and husband Mike of Belton, Michele Di Giorno of Dallas, and Todd Di Giorno and wife Rhondi of Keller; great-grandchildren Zachary and Reid Easterly of Katy, Sophia Easterly of Houston, Caroline and Callen Abbott of Cedar Park, Livia and Leighton Abbott of Austin, Aidan, Gavin, Tyler, and Dawson Stock of Belton, and Giavana Di Giorno of Dallas, and Madison, Taylor, and Jordyn Di Giorno of Keller; siblings Evelyn Rolfe of Bryan, James Abbott of Temple, Mary Beth Drake of Abilene; H.O. Abbott Jr. and wife Sue of Tyler, and Ilene Weaver and husband Hubert of Lubbock; sister-in-law Darene Abbott of Lubbock; and numerous nieces and nephews. In lieu of flowers, donations can be made to the First United Methodist Church of Bryan.